Push channels like email and text messaging achieve high engagement rates because you are delivering information and documents directly to where your customer already spends time – their inbox and mobile applications. Email remains the channel of choice for businesses wanting to send information to customers. Knowing how to navigate the complex landscape of email delivery will become more and more essential if you want to leverage the power of email for marketing, service and contractual communications. We know how to leverage push channels to ensure your marketing message, secure documents and text notifications get noticed. 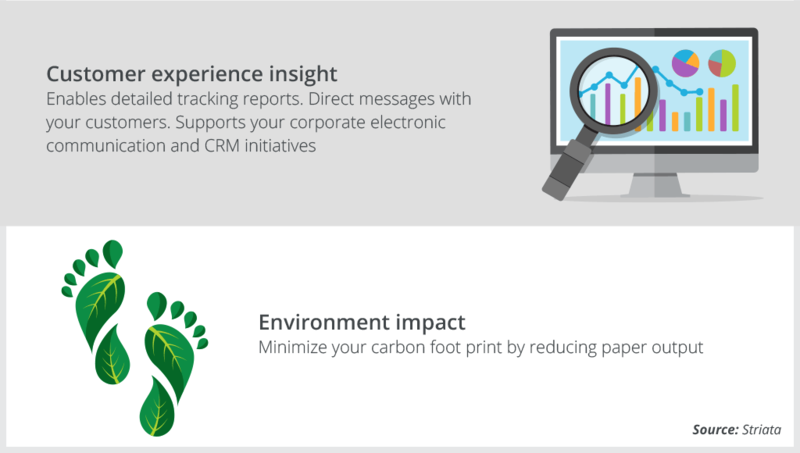 We provide an alternative digital process for your business that is easier and more convenient than its paper predecessor – an effective way of promoting digital adoption. Getting the message delivered is one of our core competencies; we use a combination of professional expertise and platform capability to ensure that a message with the correct contact information reaches its destination. 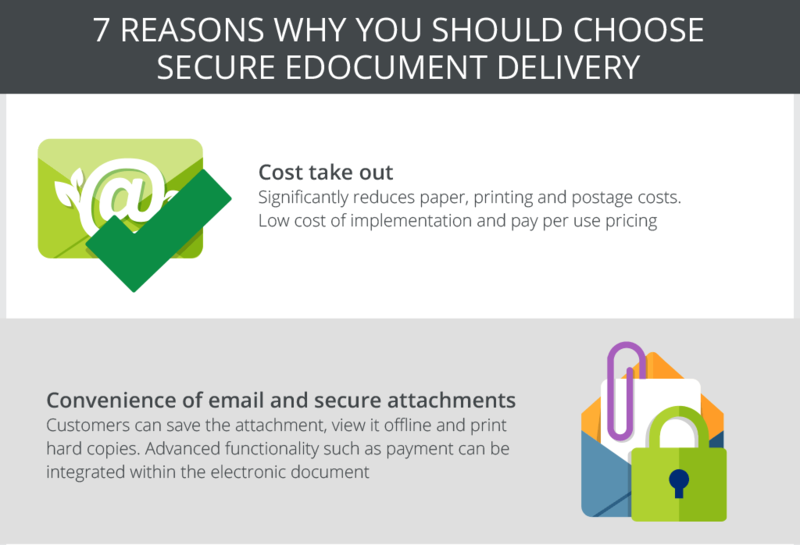 We will increase your cost savings and deliver a faster return on investment by assisting your business to achieve higher paper turnoff rates than the industry average. Our solution provides appropriate measures to protect confidential information at all points in the digital journey from your business to your customer and back again. 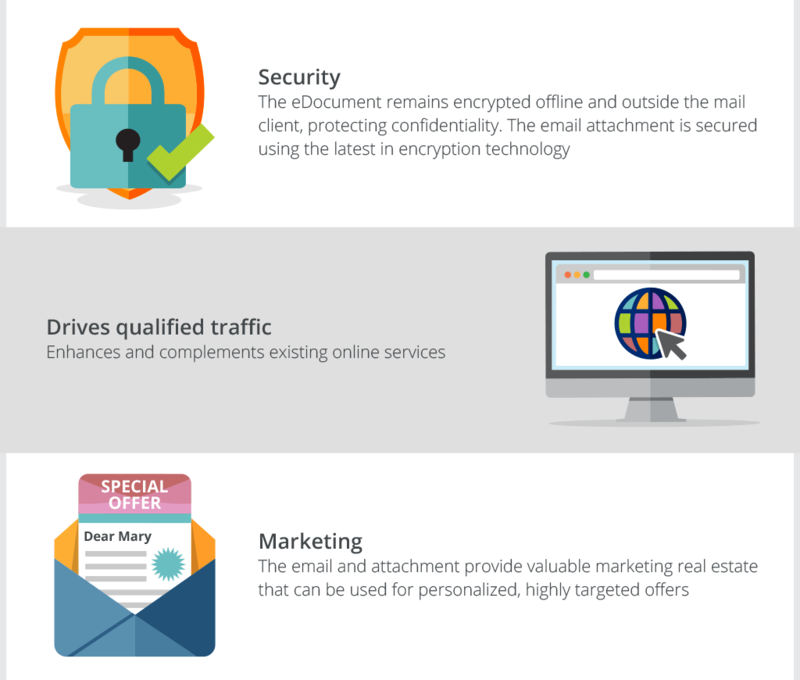 This includes securing personal information while being processed on the platform, when contained inside a document and when being transferred between parties.